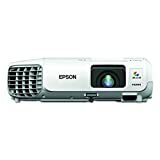 If you are a person who makes business presentations frequently, then you will need to purchase the best business presentation projector. Such a projector should feature a compact and lightweight design, yet it should highlight qualities that combine performance and value. 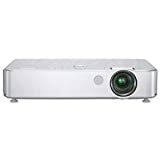 To help you locate the best projector based on resolution, brightness level, input/output connections, portability, contrast ratio, among other features, here is a review of the top 10 best projectors for business presentation in 2019 reviews. Stick around and get informed about the projectors that will deliver the best value. 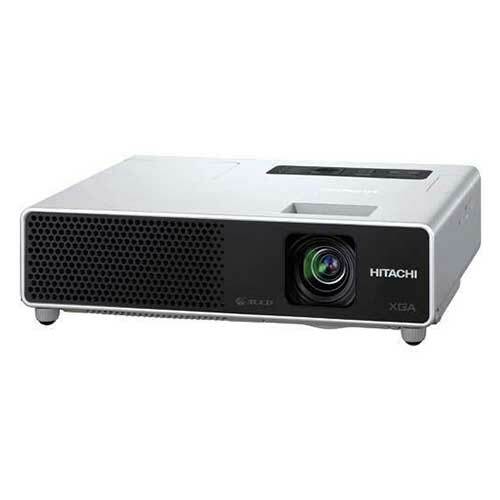 Are you looking for an affordable classroom projector that will offer flexible connectivity? If yes, then this is one of the projectors to consider. It can project from an Android tablet, smartphone, iPad, iPhone, among other devices through a wireless module which is sold separately. 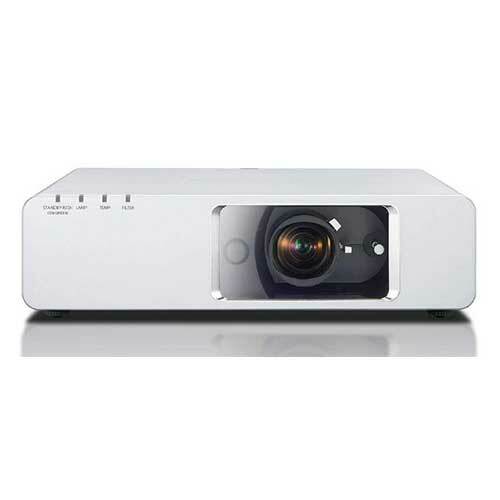 Besides flexibility, the projector is designed to deliver high image qualities. This is due to the SVGA 800 x 600 native resolution and the 2700-lumens color and white brightness. The projector measures 9.88 x 11.62 x 3.5 inches while it weighs 8.45 pounds making it a great choice when looking for a portable projector. Also, it features a long-lasting lamp that lasts for up to 10,000 hours in Eco mode. Its built-in 5-Watt speaker is another great addition meant to engage the audience when it is on stand-by mode. This projector is a perfect choice when looking for a 3LCD projector that will offer a perfect balance for design, features, and performance. The reason is that it combines stunning features in the compact and lightweight design to enable it to deliver a powerful performance. 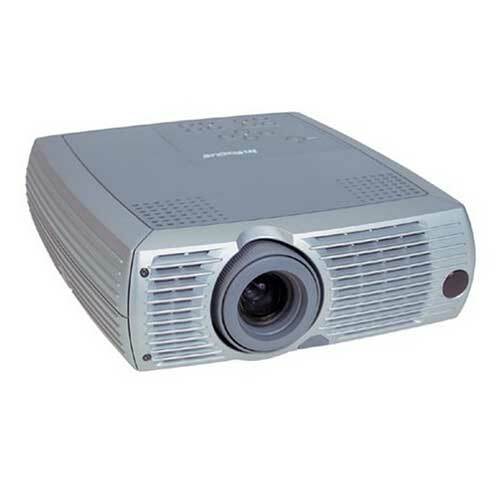 Some of the features in this projector is a 500:1 contrast ratio, a 2500 ANSI lumens brightness, and an XGA resolution. These enable it to deliver stunning images making it a great choice for presentations. You can place the projector close to the screen when using due to the wide-angle lens that helps to avoid the obstruction of the image. What is more is that it contains a USB reader that simplifies the connection process so that you do not have to use the laptop. The transition detector and password protection are other great features that assure you of security when using the projector. The unit measures 10.8 x 8.1 x 2.3 inches while it weighs 3.9 lbs. 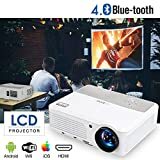 If you are looking for a projector that will let you enjoy music, video, and pictures from a USB flash drive without using a PC, then this is a brilliant choice. It features built-in high definition stereo speakers that enable it to deliver a high sound quality. More to that are multiple multimedia interfaces. These include 2 HDMI/ 2 USB/ TV/ AV/ Video(YPbPr) so that you can trace images, and enjoy video, games among other forms of entertainment. 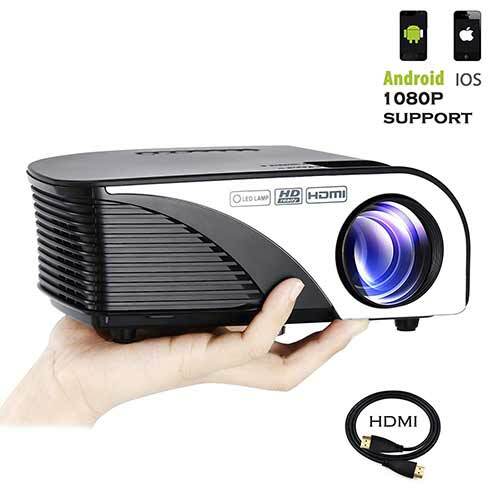 You can use the projector with a variety of home cinema entertainment systems including cell phones, tablets, laptops, media players, Sky HD box, DVD players among other devices. What is more is that it is suitable with gaming consoles such as PS4, PS3, Xbox One, Nintendo Wii, among others. The unit can support WMA/MP3, audio, JPEG/PNG/BMP images, and AVI/MPEG1/MPEG4/MPEG2/RM/video and TXT text. It has a 3600lumens brightness, while it is compatible with 1280 x 800/1080p/1080i/720p/480p resolution to allow you to view high-quality images. The unit supports a ceiling/front and rear projection to enhance versatility. Its throw distance is rated at 3.9-16.5ft while it can deliver a 50-180 inches image size. Once you get it, you can be sure to get a portable projector since it measures 13.38 x 10.43 x 4.92inches while it weighs 7.27 pounds. Also, the projector can last for long since it comes with an LED bulb that has a 50,000hrs life. Enjoy your watching experience by using Simplebeam Projector. 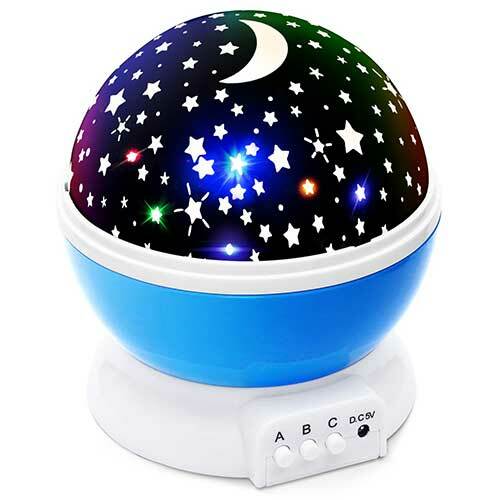 It features an LED that is 20% brighter than the ordinary LED projectors. Hence, it is suitable for use in dark rooms as well as those that are not completely darkened. What is more is that it can deliver images with a 32″-176″ image size at a 1.5m-5m projector distance. As such, you can customize your watching experience based on the size of the room. The projector measures 8.4″ x 5.9″ x 3.1″ while it weighs 2.2lbs. This means that this is one of the best portable projectors. Apart from that, it comes with an innovative cooling system with heat dissipation enabling it to lengthen the life of the projector. You can use the unit to project images and videos from a phone or iPad using the wireless HDMI dongle. 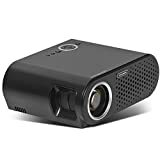 With an 11.2 x 8.9 x 4.1 inches product dimension and 4.85 pounds weight, this is one of the best projectors for business presentations when looking for a portable option. 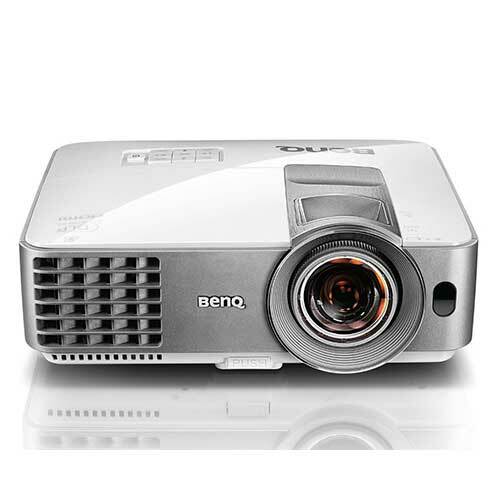 The projector has a 1280 x 800p resolution, 1000:1 contrast ratio, and a 3200lumens brightness. This enables it to deliver an exceptional entertainment experience since it delivers clear and bright images. What is more, it features built-in high-quality speakers that let you get immersed in a cinema. The dual USB ports, dual HD ports, VGA, and PC ports are other additions to allow you to connect the projector to different devices. You can use the projector to play music, videos, and photos. Upgrade your presentations with LP250. It requires you to plug it into a computer, DVD, VCR, or digital camera so that you can project images, video, and music. The projector measures 12 x 10 x 3.7 inches while it weighs 5.73pounds making it a perfect choice for a portable projector. 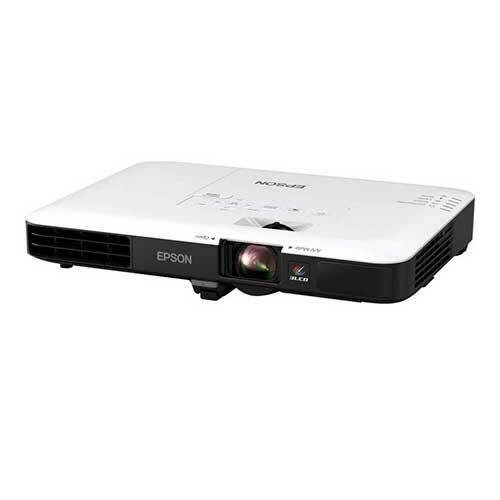 As one of the best projectors for business, you will love this unit’s ability to deliver sharp and crisp images which are easy to view in any room. The reason is that it adopts Panasonic’s Daylight View 2 technology that looks 50% brighter than competing products enabling it to deliver crystal clear images. Other than that, the projector includes a built-in sensor. This measures the ambient light so that the brightness level and halftone colors are adjusted accordingly in real time. 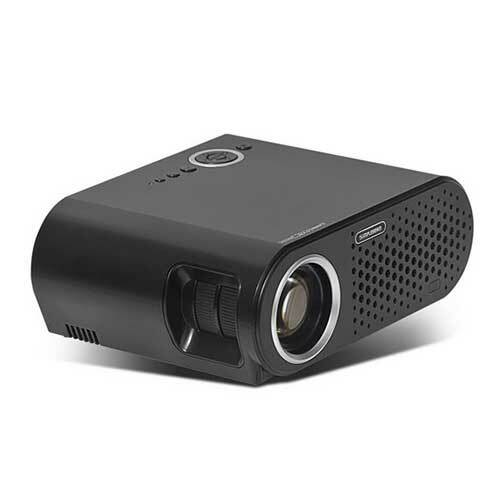 The projector is a great choice for a business projector that features a lightweight design since it measures 5.3 x 4.5 x 4.1 inches while it weighs 7.7 ounces. With it, you can be sure to have a projector that is easy to operate due to the two-second speed start time that enables the image to appear in two seconds after pressing the power button, and the auto-search function that enables the source to be detected automatically. The real-time keystone correction is another addition that makes the projector worth it. The reason is that it enables it to sense when you have adjusted the angle so that it can make the keystone correction instantly to enhance an optimum viewing experience. 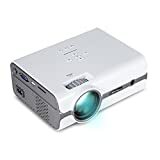 You can get the projector when looking for a convenient business projector since you can disconnect the power cable when you have finished presenting without having to worry that you will damage it. Also, it has a 3000-hour lamp life that makes it a great choice when looking for a projector that is designed to last. The unit is SVGA native/UXGA compatible while it features a 400:1 contrast ratio to enable it to deliver clear images. 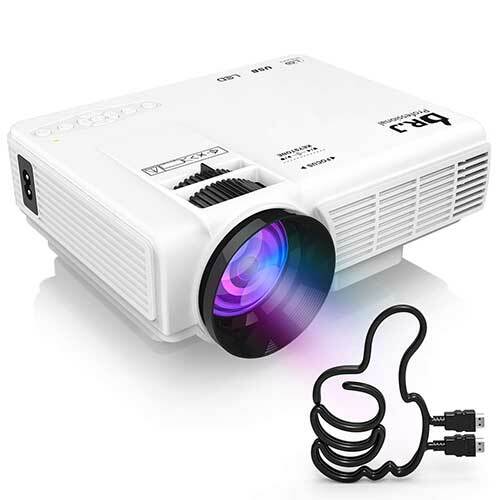 Enjoy endless entertainment by including this projector to your entertainment set. It features built-in WIFI that lets you surf the internet so that you can download online apps and access over 300 streaming services. What is more is a built-in ARM Cortex A7 Quad Core CPU. This lets you play online movies and music without having to worry about buffering or freezing. The projector has a Cool Wireless Screen Mirroring Technology that enables it to support iOS Airplay/Android Miracast so that it can sync with iPhones, iPads, among other devices. It has a Bluetooth Sound-out feature that lets you stream audio from the projector to Bluetooth-enabled speakers. You can expect the unit to deliver bright, stunning images since it adopts a high 1280×800 Physical resolution and a 3600lumen brightness. Also, it delivers a big display size since it can convert a 5.5″ screen display to a 200″ large screen display. 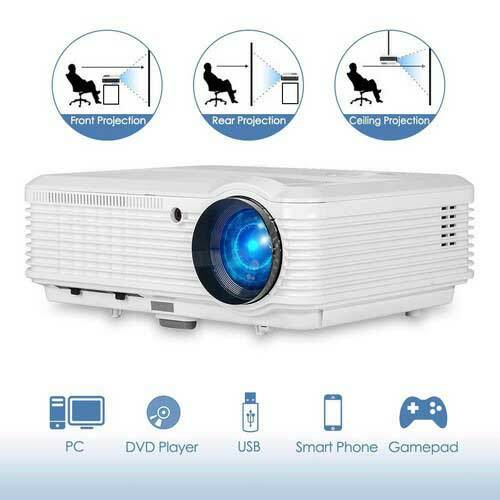 The projector is suitable for use with laptops, gaming consoles, DVDs, PCs, among other devices due to the USB/Ypbpr/HDMI/VGA, and RCA audio ports. It measures 13.2 x 10.3 x 4.6 inches while it weighs 7.1lb. For an enhanced performance with minimal maintenance, the PT-F300U LCD projector will serve you best. The reason is that it features an auto-cleaning filter that extends the filter replacement cycle to more than 10,000 hours. In addition to that, it features a dust-resistant design that boosts reliability. The projector measures 12.72 x 17.01 x 5.08 inches while it weighs 13.7lbs. It is bright and easy to use assuring you of reliable performance. 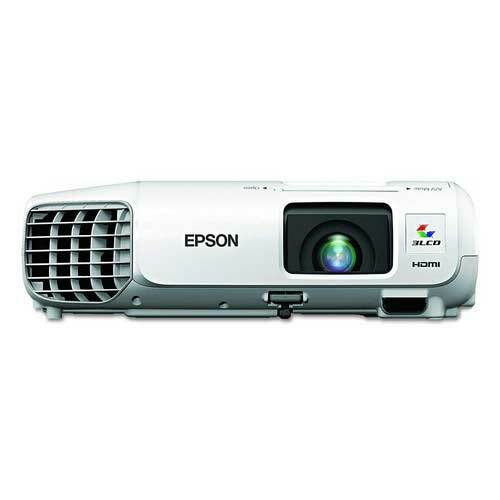 When looking forward to making powerful presentations, then you will need our best pick; V11H795020 PowerLite from Epson. The unit has a 3200lumens color brightness and a 3200lumens white brightness making it a great choice for accurate and vivid color presentations. 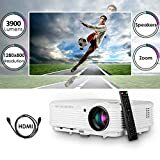 Apart from a high brightness level, the projector features a 1280 x 800 WXGA resolution which means that it can offer 2x more resolution than SVGA to assure you of sharp images. 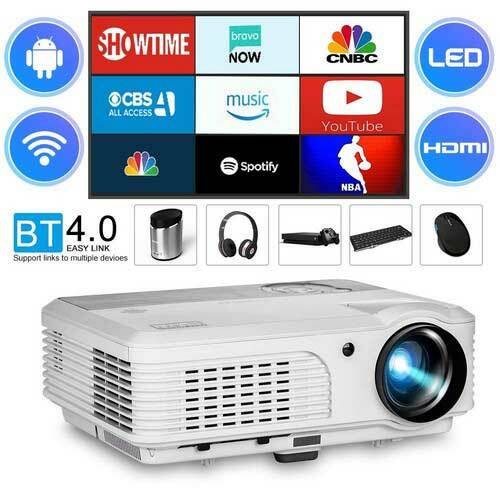 You can use this projector to project images and videos from laptops, smartphones, and tablets since it supports wireless connections. Asides from that, it supports Chromecast via HDMI, plus MHL-enabled devices and Roku wirelessly. The projector measures 18 x 12 x 5 inches while it weighs 3.99 pounds to enhance portability. There are several factors that come to play when you want to select the best projector for business presentations. So, do you need a projector that is portable or one that is designed to deliver the best images? Or, do you need one that is compatible with a lot of devices or one that will let you access music, images, and videos located online? 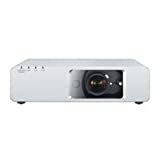 For you to select the right projector for your presentations, prioritize your needs and choose a projector that meets those needs best among the reviewed products.